Michigan Populist reported in June that BlueWare, a company that left Michigan to capture Florida’s tax giveaways, is being sued by the Florida County of Brevard. Now, BlueWare CEO Rose Harr, a lobbyist named William Matthew Dupree, and a former State Representative and clerk of court named Mitch Needelman are all being charged in a criminal investigation. According to an article by Floridatoday.com, Florida’s Law Enforcement Commissioner said “The investigation shows Needelman, Dupree and Harr swindled Brevard County taxpayers out of millions of dollars.” Needleman and Dupree have already been arrested, and Harr has a warrant out for her arrest. All three are being charged with bid tampering and bribery. All of this stems from a controversial contract BlueWare had with the County of Brevard to perform a job digitizing county records. But wait, there is more. The State of Florida is also investigating BlueWare’s relocation agreement with Florida. The move came with at least 1.8 million dollars in incentives. Florida Governor Rick Scott even contacted Harr personally during the courting process. Details of that investigation have yet to be released. The BlueWare fiasco could provide some sanity in the race to steal businesses from other states by giving big tax giveaways. Florida Governor Rick Scott isn’t the only business thief out there. Texas Governor Rick Perry has taken to running radio spots in California criticizing their business climate and inviting businesses to relocate there. What Scott, Perry, and other politicians should do is try to steal some of our jobs back from Mexico and China. They should also do it without gambling with hard working tax payer’s money. 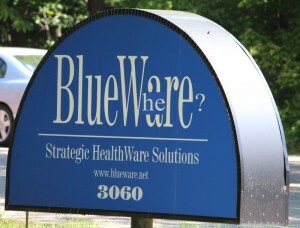 Note: Read the backstory on BlueWare’s move here.